Description: Instrumentation is not a clearly defined subject, having a 'fuzzy' boundary with a number of other disciplines. 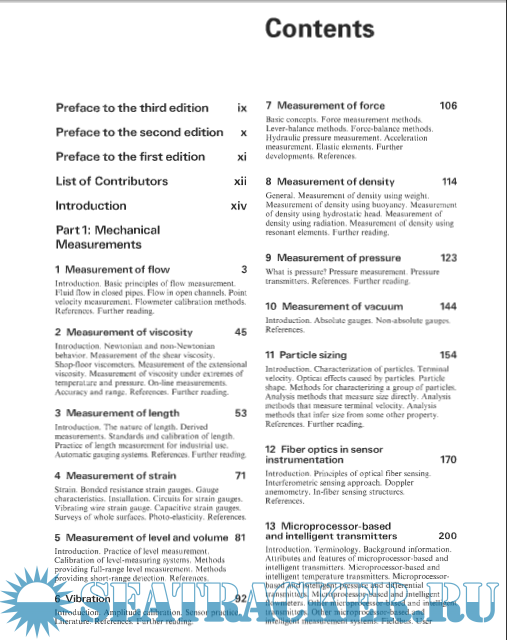 Often categorized as either 'techniques' or 'applications' this book addresses the various applications that may be needed with reference to the practical techniques that are available for the instrumentation or measurement of a specific physical quantity or quality. This makes it of direct interest to anyone working in the process, control and instrumentation fields where these measurements are essential. Introduction. 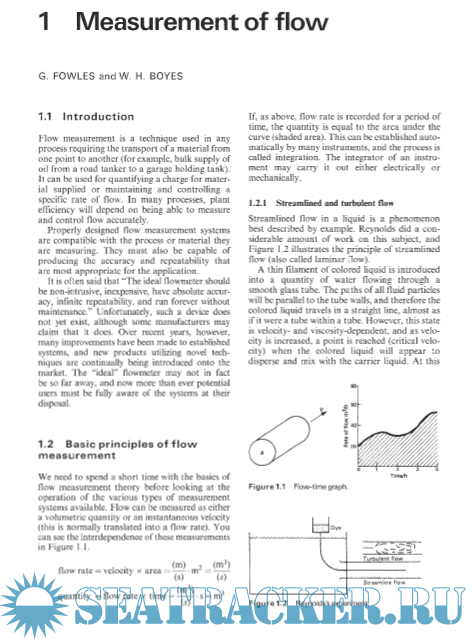 Basic principles of flow measurement. velocity measurement. 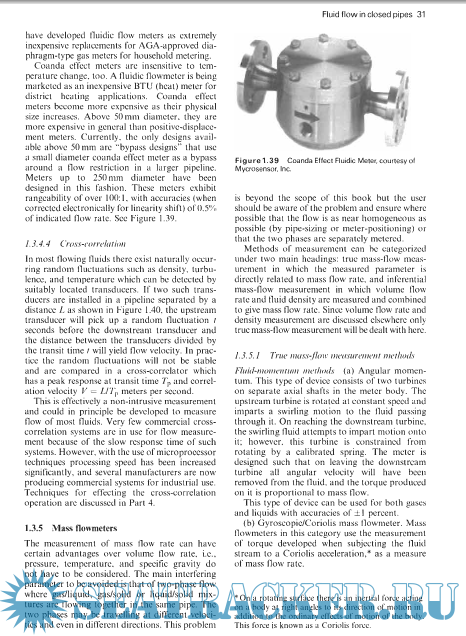 Flowmeter calibration methods. behavior. Measurement of the shear viscosity. temperature and pressure. On-line measurements. Accuracy and range. References. Further reading. measurements. Standards and calibration of length. Practice of length measurement for industrial use. Automatic gauging systems. References. Further reading. characteristics. Installation. Circuits for strain gauges. Vibrating wire strain gauge. Capacitive strain gauges. Surveys of whole surfaces. Photo-elasticity. References. Introduction. Practice of level measurement. Introduction. Amplitude calibration. Sensor practice. Basic concepts. Force measurement methods. General. Measurement of density using weight. Introduction. Absolute gauges. Non-absolute gauges. shape. 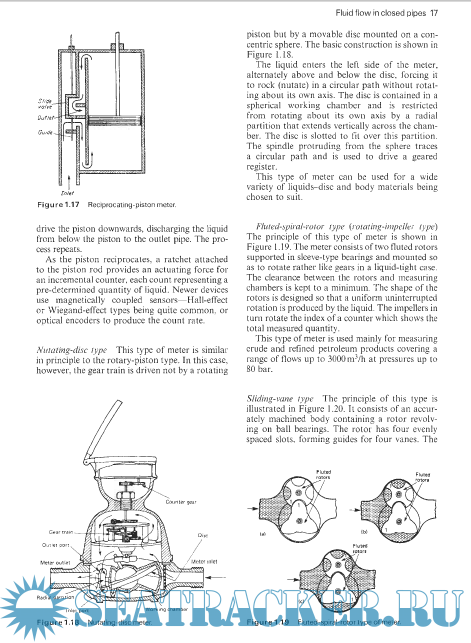 Methods for characterizing a group of particles. methods that infer size from some other property. Introduction. Principles of optical fiber sensing. transmitters. Fieldbus function and benefits. References. Temperature and heat. Temperature scales. Polarography and anodic stripping voltammetry. techniques: emission, absorption, and fluorescence. conductivity. The concept of pH. Electrode potentials. Introduction. Separation of gaseous mixtures. Detectors. Process chromatography. Special gas analyzers. Calibration of gas analyzers. Further reading. Units and standards of electrical measurement. measurement of resistance, capacitance, and inductance. an oscilloscope. References. Further reading. of personnel. References. Further reading. environmental conditions on measurements. References. construction. Construction of electronic instruments. protection. Mounting and accessibility. Piping systems. Cabling. Grounding. Testing and pre-commissioning. small angles. Solution of triangles. Spherical triangle. 32 Reliability in instrumentation significance. Further reading. reactor control systems. Process and plant control. atmospheres. Other safety aspects. Conclusion. Introduction. Parts of the system. Microsoft Windows. Traditional and graphical programming languages. emission. Electrons in crystals. Insulators. of light with matter. References. Further reading. Virtual Instruments (IVI). Real-time programming. The luture of virtual instrumentation. Further reading. terminations. Tooling. Mass termination connectors. Fiber optics connectors. Radio frequency connectors.